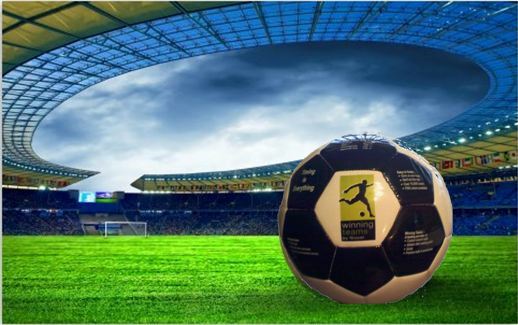 Winning Teams is your leading source for athletic field marking paint and sports equipment. Everything from lining your fields to padding your gymnasium walls, you can depend on Winning Teams to outfit your sports league, township or athletic department with the gear needed to keep the game going. More and more select Winning Teams because of our quality products, unparalleled customer service, on-time delivery and competitive pricing. Winning Teams offers everything you'll need from soccer, lacrosse, baseball, softball, football, basketball, volleyball and more. Please browse our website and discover why Winning Teams should be your supplier for athletic equipment. When the game is on the line, choose Winning Teams! Can be set up anywhere: on grass, artificial turf or middle of the street, and our non-marking rubber feet means it's also safe for the gym floor. Includes carrying bag. Pevo Supreme Goal - Our top of the line soccer goal! Lightweight 4" round tubing with built-in channel for net attachment-entire goal. Aerospace Grade Aluminum Corner Castings. Ships via TRUCK. Clear anodized aluminum bench seat with back (custom powder-coated finishes available). Ball bearing wheels with 8.5” rubber tires are standard. Ground anchors included. Three year warranty. Ships via TRUCK. Are you currently using aerosol cans? 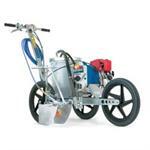 If so, Graco's FieldLazer can cut your field lining time in half! When speed, ease of application & cost savings matter, FieldLazer by Graco is the perfect solution. Ships via TRUCK. Perfect for baseball, softball and little league outfields. Quick and easy to set up and take down. 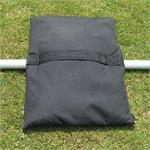 Size: 18"L x 18"W. A heavier, stronger sandbag constructed of denier material with reinforced stitching and zipper closure. 4 bags per goal recommended. Sold in sets of 4. Ships UPS. Give your volunteers and paid professionals the gift of convenience! Free shipping on 26+ cases. 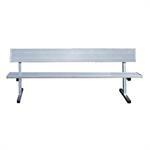 Give your players a comfortable bench to rest and view the game. One of the best buys around. These benches are environmentally friendly, extremely durable and scratch resistant which makes for the perfect long lasting investment. 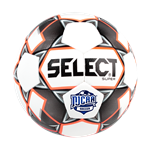 The Official Ball of the NJCAA! The pro soccer ball that provides level quality and performance. 3-Year Warranty. Made to Major League Baseball specifications, our TF Pro series baseballs incorporate a full grain premium leather cover, gray and white wool seams, and cushion cork center. Flat Seam game ball. © 2019 Winning Teams by Nissel, All Rights Reserved.